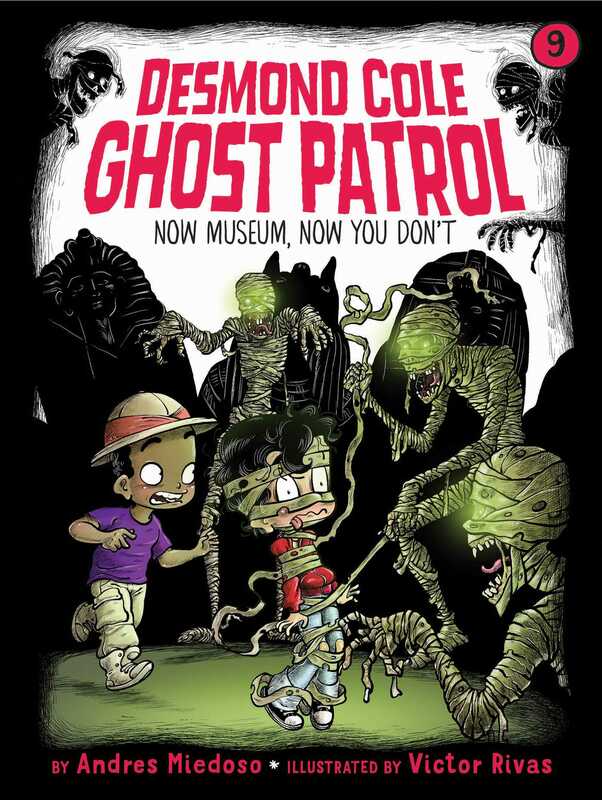 Desmond Cole goes on a field trip to the museum in the ninth book of the Desmond Cole Ghost Patrol series! Museums are great places to see really old stuff. The Kersville Museum has old paintings, old statues, and even old mummies that come with old curses. Sounds like a perfectly safe place to visit for family fun. Until the mummies start to disappear! With easy-to-read language and illustrations on almost every page, the Desmond Cole Ghost Patrol chapter books are perfect for emerging readers. Andres Miedoso is still afraid of everything as a grown-up, even after all his adventures with Desmond Cole. He lives in New York City with his family, and he remains best friends with Desmond but returns to Kersville only when he’s needed. Victor Rivas was born and raised in Vigo, Spain, and he lives outside of Barcelona. He has been a freelance illustrator for thirty years, illustrating children’s and teen books, concept art for multimedia games and animation, and comics.